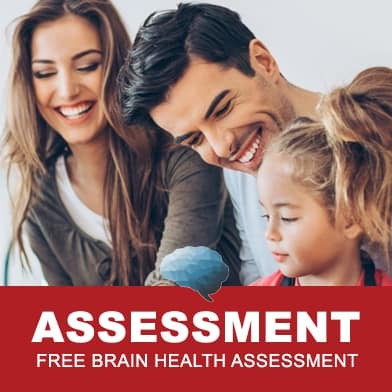 Learn a way of living that's helped thousands of patients at Amen Clinics to have better brains, and better lives as a result. 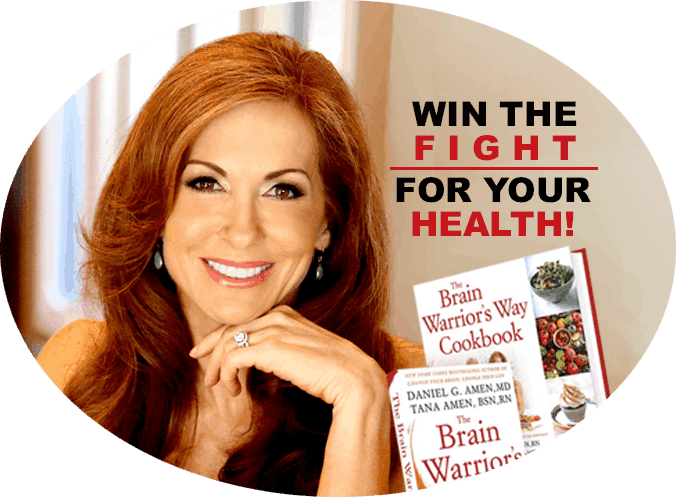 Developed over three decades, the Brain Warrior's Way has helped many "Brain Warriors" improve their decision-making ability, energy, focus, moods, memory, weight, relationships, work, overall health, and sense of personal power. 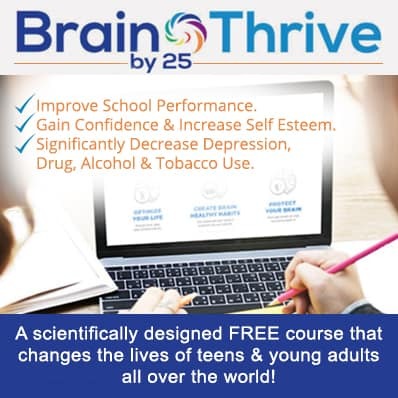 The Brain Warrior's Way is a unique and powerful program designed to help you improve your overall health. 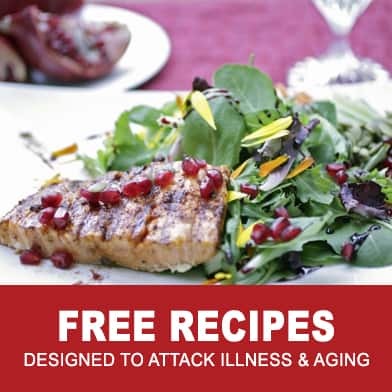 Designed to attack illness and aging. Ignite your energy and focus. Can make a significant difference. 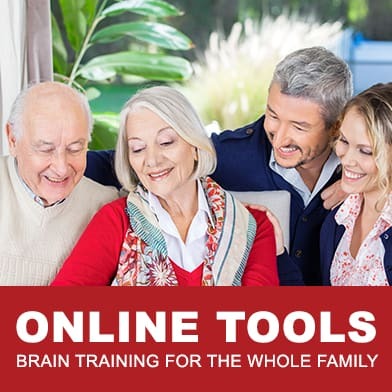 Brain training for the whole family. 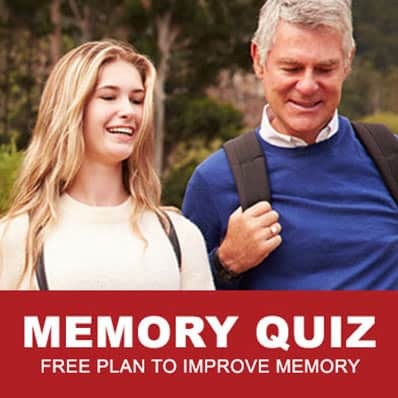 Learn a way of living that's helped thousands of patients at Amen Clinics to have better brains, and better lives as a result. 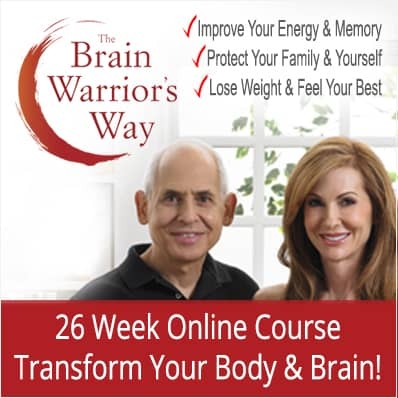 Developed over three decades, the Brain Warrior's Way has helped many "Brain Warriors" improve their decision-making ability, energy, focus, moods, memory, weight, relationships, work, overall health, and sense of personal power. 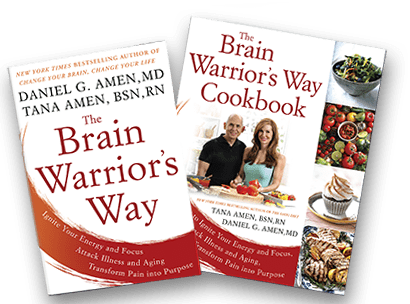 The Brain Warrior's Way is a unique and powerful program designed to help you improve your overall health! 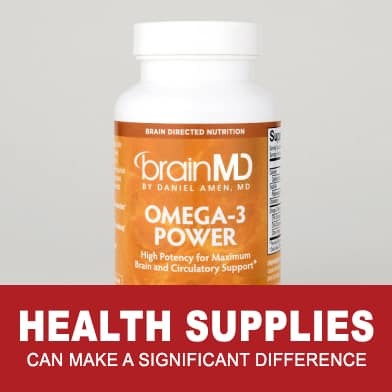 ... to become warriors for their health, whom we affectionately call "Brain Warriors". Simple, yet effective strategies to help you win the fight for a healthy body, mind and spirit. Executive Vice President of Amen Clinics, New York Times best-selling author of The Omni Diet, Highly respected health and fitness expert, cancer survivor, nationally renowned speaker, and media guest. 10 Day Brain Boost Cookbook, The Brain Warrior’s Way, The Brain Warrior’s Way Cookbook, The Omni Diet, Healing ADD through Food, Change Your Brain, Change Your Body Cookbook, Get Healthy with the Brain Doctor’s Wife, Eat Healthy with the Brain Doctor’s Wife and Live Longer with the Brain Doctor’s Wife. Tana Amen, BSN, RN., practices martial arts regularly and has a black belt in Kenpo Karate and Taekwando. Being a mother and wife is Tana’s first passion. 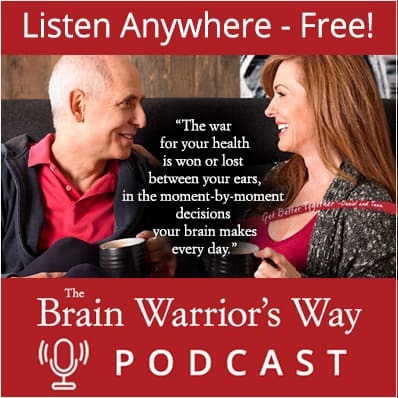 Tana believes everyone can optimize his or her health by following The Brain Warrior’s Way.